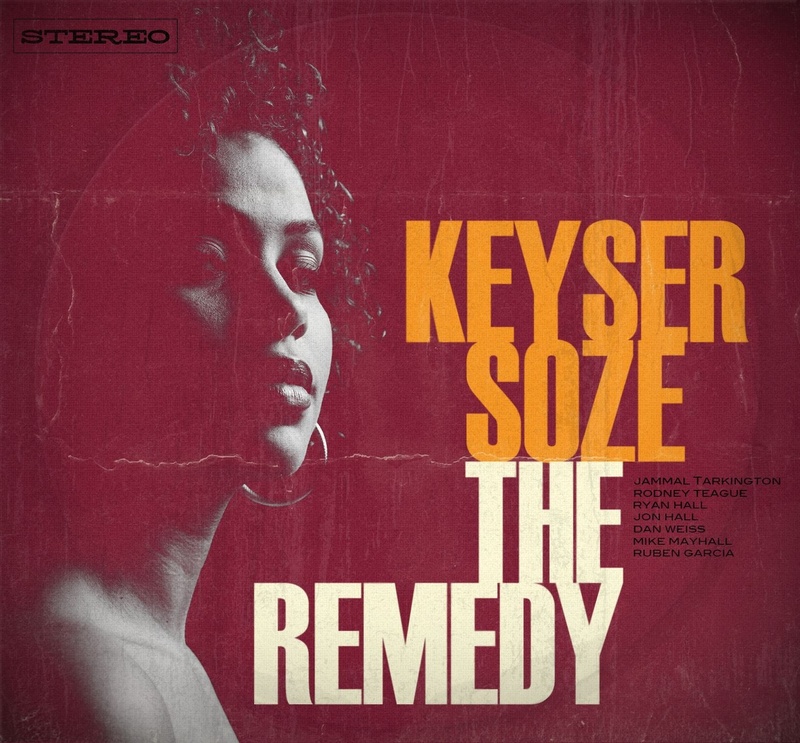 Keyser Soze are keeping reggae/dub alive and well in The Biggest Little City in the World. They released The Remedy earlier in 2013 in their 15th year as a band, and they show no signs of slowing anytime soon as they have plenty of plans for the future, even with a slew of contrasting side projects. Several of the band’s members (Jammal Tarkington, Mike Mayhall, Rodney Teague, Chris Williams, Ryan Hall) took some time to speak with us here at UTG about the history of Keyser Soze, their latest studio effort, and what’s on the table in terms of future intentions. So read through the jump and get the scoop directly from the band in this exclusive UTG interview. I could be wrong, but I’m assuming the band name is derived from the character of the same name in The Usual Suspects. Could you explain why you chose to name the band after that particular character? Do you feel that there’s a relevance to your sound and style? JT: I had seen the movie and loved it. The name of the character stood out to me, and when Rodney and I decided to start the group, we wanted something that set ourselves apart and really stood out. When we started, we were a ska/punk band with a lot of energetic songs, and it seemed to be an appropriate name for a high energy band. Even with all the changes in the band since then (late ’90s), the name just stuck with us. It’s a great name for a band. A Reggae band from Nevada seems kind of irregular to me unless there’s a significant scene I’m unaware of. Reno’s a great city but was it an obstacle at all forming a reggae/soul band there? What’s the scene like for that genre in the area? MM: When the band was formed, as Jammal said, it was ska/punk, and there was a lot of other stuff thrown in. There was a DJ, all kinds of stuff. Such an overt mixture of styles seemed to be a more common thing back in those days, so I think it was easier to form a band and find players that wanted to do that. If you listen to Revenge, a ten year old record now, there’s a lot of different styles on there. I mean, Rodney says “SAMBA” on there [laughs]. JT: We all studied in the jazz and improvised music department at the University Of Nevada and it wasn’t too much of a problem to find eager and talented players with a lot of adaptability. I wouldn’t say that there’s a particular soul or reggae scene in Reno. There are more metal bands and punk bands, but there’s really quite a wide variety and it all fits. I just give a lot of credit to the university and the program there for providing the opportunity for many of us to come together in the first place. That made any obstacle to forming a band of ANY style a lot easier to overcome. Having been a band for 15 years now, changing line-ups, and going through album cycles, how would you say that the time experienced has affected you and what the band is now compared to what it was when you began playing together all those years ago? RT: The world in general and the industry has changed so much during the time experienced in this band. There are less gigs, more bands, less clubs that feature live music. In the last 15 years, we’ve seen a lot of bands come and go. We’ve seen bands that we’ve played with become huge. KS has been rolling along through all the change, but it’s been hard to maintain a band business through all these changes happening around us. But we keep going. Kill or be killed. Could you share some of your most important influences that have helped shape your sound over time? Are there any bands or artists that initially gave you the desire to get involved with making music? RT: Horn bands. Chicago, Earth Wind & Fire. I grew up listening to that stuff and still base a lot of my writing off of that. Of course, we all love Bob (Marley), even though we each also have different preferences within reggae. CW: I grew up with Earth Wind & Fire and Chicago as well. A lot of classic soul music. I feel my input mostly comes from that. I’ve been getting back into Kanye West’s stuff lately. Gotta shout out to Kanye. Flying Lotus is one of my favorites. And of course, a lot of the classic reggae. Studio One, Trojan Records – the foundation! RH: I got interested in music after seeing KISS on TV when I was four years old. I wanted to be that! I grew up with a lot of rock on my turntable. Van Halen, AC/DC, Rush, Iron Maiden, Led Zeppelin, Queen, Cheap Trick, Black Sabbath – that was the first stuff I was really into. My older brother brought the hot soul music around. Prince, Midnight Star, Michael Jackson, The Gap Band. He had The Sugar Hill Gang and Grandmaster Flash. MTV at the time was exploding and turning me on to New Wave. Breakdancing was happening, but I also loved Metallica and Slayer, so it was a smorgasbord of music growing up. King Crimson changed my life at 16. Reggae came into my life with Legend and The Harder They Come soundtrack. I’ve always been eclectic in my listening. Right now, it’s Burning Spear, Daniel Rosenboom, The Kandinsky Effect, Frank Zappa, High On Fire, Edgard Varese, Brad Shepik, King Tubby. Are you familiar with or fans of any “newer generation” ska/reggae bands such as Rebelution and Iration? Or even some that have been around for quite some time that seem to be enjoyed by younger crowds, like Pepper and Slightly Stoopid. RT: We know of those bands and appreciate that they could bring a younger generation to reggae and related music. Those bands always put on great shows. We’ve played on some festival gigs that some of them were on as well. RH: I recently heard some dubs of Rebelution’s that I really dug. For me, Groundation is where it’s at for modern reggae music, as far as the groups from America. Top flight musicians, authentic, conscious reggae, but also really eclectic. So what can you tell us about your newest album, The Remedy, that you released this past Summer? How would you say it stacks up next to your previous material? How does it differ from your other albums? RT: Best stuff yet. It shows our growth from the last record. We’re growing as writers and players. We’re growing older. More experienced. It would definitely be a great place to start if you’re not familiar with our sound. JT: I stand behind it because the whole album is good from start to finish. I think it works as a complete piece. It shows maturity in the sound. Scotty Roller’s design and artwork is a great presentation. We were going for a Blue Note type of front cover and an Impressions sort of thing on the back cover. RH: I’m pleased with how it turned out sonically and with how strong these songs are presented. Are there any specific themes or messages in your lyrics or sound on The Remedy? RT: Enjoy life. Do what makes you happy. We’re trying to make music that makes you dance. I really enjoy the old LP look of the album cover that you mentioned. It matches the sound perfectly. I was curious though, who is the woman gracing the artwork? RH: Her name is Leslie and she’s from New York. Our graphic designer, Scotty Roller, knows her and set it up for her to be on the cover. I’m not sure of her last name. Since the album has been out for a good five months at this point, what have you all been working on in the meantime? Have you begun writing new material for the next effort already? RH: We’ve been gigging locally and around Northern California. There is a bunch of fragments and half finished songs that we’re putting together. There’s a few finished new songs that we’ll start playing live right away. We’ve been trying to get a good promotional push right now for The Remedy by increasing our presence in the blogosphere and in international press. Are any members involved with other projects outside of Keyser Soze? RH: Jammal and I play in an acoustic duo where we have a handful of original material that’s very different from what we do in KS. Equally inspired by dream pop, Indian music, folk, indie rock. We also do covers. Elliott Smith, Hendrix, Toots and the Maytals – anything we like. We’ll also throw in acoustic versions of some KS songs. We work restaurants and lounges, art galleries, small bars. I’ve had a metal/progressive trio called Cranium for a long time. It’s been ongoing but with long breaks of inactivity. We’ve put out two records and a live online-only release. That stuff is on iTunes, Bandcamp, and all the digital services. Mike and I had a quartet called Droogs Of Eidetia that will hopefully see the light of day again. That was like thrash jazz. Baritone sax, abrasive distorted guitar, upright bass, and drums. Pretty menacing stuff. CW: I have my own quartet called Yelsa. It’s electronic improvised music. The music on Brainfeeder Records is a big influence on that group. JT: I also have a hip-hop group called Who Cares. We have an EP called The Winter Came Back and a full-length called Teenage Ego Trip. We’re currently recording for our next record. Other than the shows you mentioned, do you currently have any full touring plans in the works for the short remainder of the year or 2014? RH: Currently playing in California and close to home quite a bit while we write and put together the music for the next album. I’m sure we’ll get up to the Pacific Northwest a couple of times in the next few months. A 6-week tour of Europe is planned for the summer of 2014. So all in all, what can we expect from KS in the near future? Any big plans or goals to achieve? JT: A dub EP of songs from The Remedy is in the works, and we’ll record a new full-length in 2014. We have a few more videos to be released, one of them is actually from the last record. It’s for the song “Next To Me.” And one or two more from The Remedy.